Manchester based singer songwriter Liam McClair playing a full band show at Gulliver’s in the Northern Quarter to launch his EP ‘Honest’. McClair played a set which included a blues number amongst his usual poppy tunes and the audience were really receptive and enthusiastic. His set that night was: Alchemy / Someday / Lose My Faith / Cowardly Man / Oh Mary / Honey and Honest. 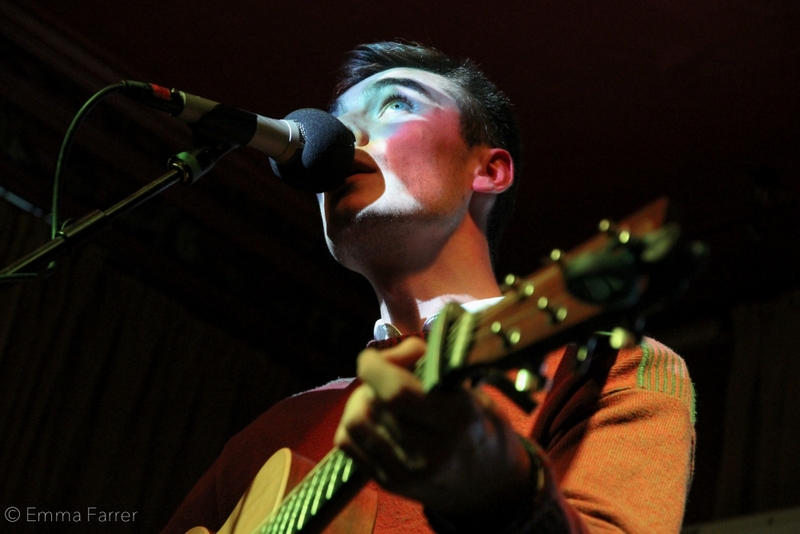 The show saw McClair supported by other young artists from the city; Robbie Cavanagh, who also performed a full band set, Jonny Woodhead who played acoustically and poet Tom Kwei who performed between each of the musicians. The gig started off a little quietly but filled up with people pretty quickly and it was reassuring to see the next generation of musicians playing to a crowded room.